Peaches are at their best at this time of year and such a versatile fruit, there are literally hundreds of ways they can be incorporated into recipes, or simply eaten as they are! For Ovenclean’s August recipe of the month though, we’ve decided to feature our favourite peach cocktail (with a twist), as well as our pick of the tastiest-sounding cocktails and coolers we can find! 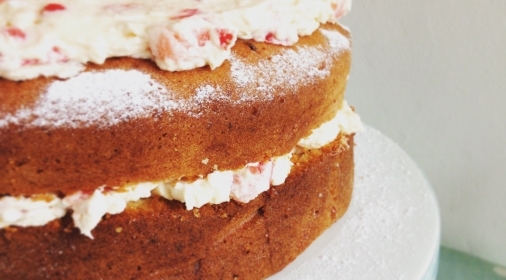 Our take on the classic includes a cheeky drop of peach schnapps for a little extra kick of peachyness – enjoy! Remove the stone and skin from the peaches and blitz until as smooth as possible in a blender. Strain the peach juice so you have a nice smooth consistency and keep in the fridge until you’re ready to serve. 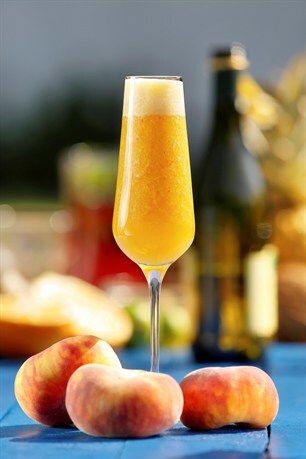 To prepare the drink, fill a champagne flute 1/3 full with the peach puree, add a splash of peach schnapps and top up with Prosecco. This recipe is great if you’ve let your peaches get a little over-ripe and need to use them up quickly. The combination of peaches, pineapple and a little tequila sounds great to us and if we are lucky enough to experience a bit of an Indian summer this year, this could also be the perfect drink to help keep you cool! 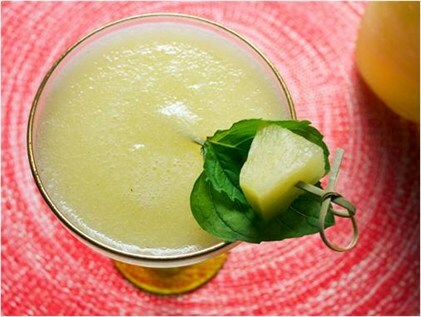 Gwyneth Paltrow put together this peach cooler recipe for Bon Appetite, which we think sounds amazing and it’s also fairly simple to re-create! Pretend to be a celebrity for the day (or at least, drink like a celebrity, and maybe not all day as it could get quite messy?)! We couldn’t help but include this ‘float’ recipe – I mean, who can resist a bit of ice cream in a drink!? 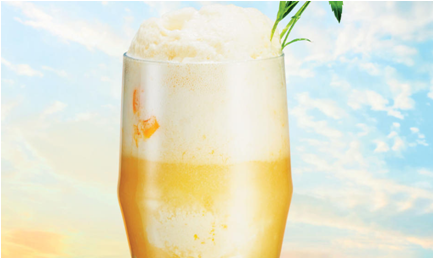 This drink promises to make you feel summery even if it is raining outside, but it does require peach flavoured ice cream, which if you have a glut of peaches you could also try your hand at making, and here’s a great recipe with just this in mind! If these recipes have given you some inspiration and a hankering for peaches, why not round up the summer season in style, invite a few friends around this bank holiday weekend and enjoy the sweet, succulent juiciness that the perfectly scrumptious peach has to offer! ?